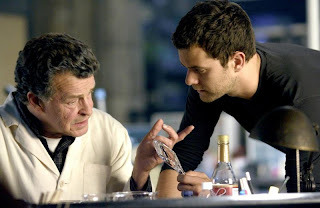 Science Fiction Geeks - Scifi News: Fringe to answer questions about Walter and Peter's family. Fringe to answer questions about Walter and Peter's family. Sci Fi Wire has an article about an upcoming episode of Fringe in which some additional information about Walter and Peter Bishop's family. It's not a huge spoiler, but I didn't see it coming (although it may be hard to miss news of this spoiler elsewhere). It's not quite as entertaining as this great family moment from season 1.